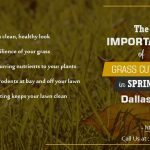 Buying a lawn mower is very important for every lawn owner because there will be times when you might need to handle your lawn mowing yourself instead of hiring a professional lawn mowing service. As easy as buying a lawn mower sounds, it’s not as simple as walking down to a machine store and picking any type that catches your fancy. Their several factors you need to consider before making a decision. Every lawn is different in several ways; it could be the type of grass, the size of the yard involved or the slope of the yard. You may also have specific preferences in a lawn mower like durability, availability of warranties, how well it performs and ease of use. Also, lawn mowers come in several types – push mowers, driven mowers, robotic mowers and other available variants. To make a good choice of a lawn mower, you can follow the tips listed below. The type of grass you have in your compound will determine the type of mower you will buy. If you have a well-cut and maintained the lawn, a smaller lawn mower might be enough to do the job but a thicker or over-grown lawn will need a bigger, higher-powered lawn mower to cut them well. This is closely tied to considering the size of your yard before making a buying decision. Before making a decision, consider the size of your yard and go for an engine size that can comfortably mow your lawn without issues. A bigger engine will be needed for tough grasses and overgrown lawns. The topography of yard is another tip you can consider before making a decision on the mower to go for. 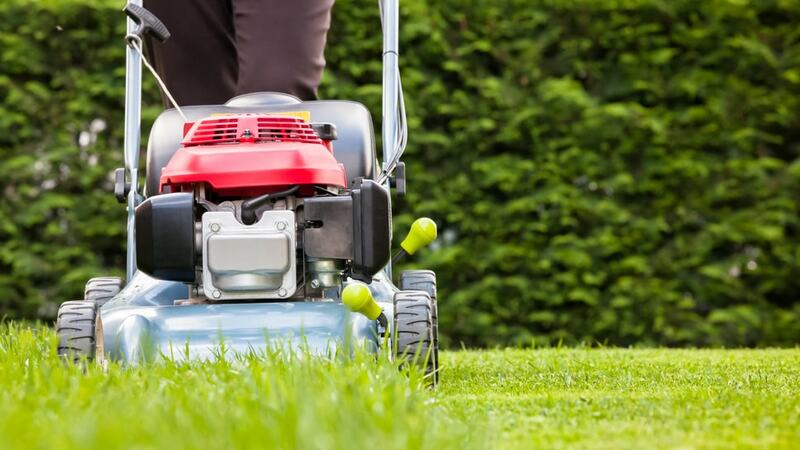 You will need to check if your yard is sloped or flat before picking a mower. You can go for a walk mower or push mower if you have a flat landscape or a driving mower if the area is large and sloped. There are so many brands and types of lawn mowers and making a choice is entirely up to you. Ultimately, you know what you want. Be it a brand name, performance, speed, less cost, convenience or comfort. Different types of lawn mowers include manual reel lawn mowers, self-propelled mowers, push mowers, electric mowers, gas-powered lawn mower, robotic lawn mower, ridden or driven mower. The size of your wallet or bank account is also a major determinant of the type of lawn mower you might go for. Lawn mowers come at different price points and you are certain of finding one that can do the job perfectly without spending a ton of money. 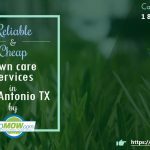 When you consider the cost of hiring a lawn mowing service in Texas if you have a normal sized yard, buying your own lawn mower and doing the job yourself might be a better option to save cost. 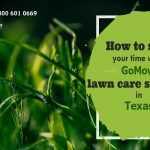 Lawn maintenance in Austin can cost anywhere from $20 to over $100 per service. Getting a lawn mower to do it yourself will be cheaper in the long run especially if you have the time for it. To make the best choice possible, you can also ask friends and neighbors who have lawn mowers to for recommendations. If they have been using lawn mowers for a while, they will have good recommendations to make. You can also visit your local lawn mowing service to ask questions about which lawn mower would fit your lawn best. It might also be important to check for value-added packages offered by the lawn mower company like warranties and free servicing. With all these tips in mind, buying your first lawn mower shouldn’t be a difficult one.